The corporate mega-cephalopod known as Starbucks just sprouted yet another tentacle, this time, by getting into the bakery game. 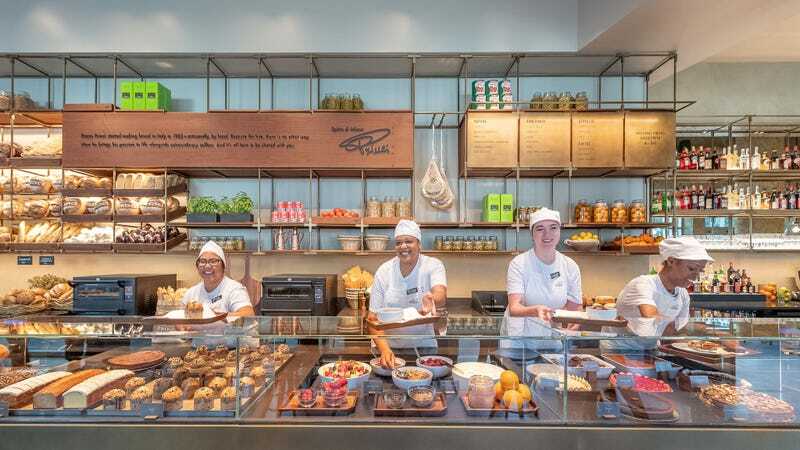 At its home base in Seattle this week, Starbucks opened the first American outpost of Princi, an Italian mini-chain with locations in Milan and London. Founded by Italian baker Rocco Princi, the store specializes in breads and pastries made in-store, as well as sandwiches and pizzas. Wines and beers will be offered later in the day, Starbucks said in a press release. Before you know it, the Princi name may become omnipresent: The Seattle Times reports that Starbucks plans on opening 1,000 bakeries under the Princi banner. After Seattle, the next two cities to see Starbucks-Princi openings are Chicago and New York City later this fall.